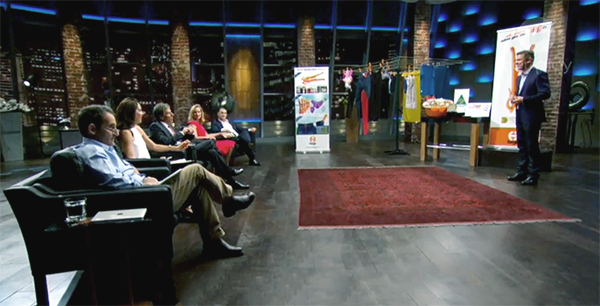 This is the fifth instalment in a series of articles wrote from my time on Shark Tank. Being in partnership with someone is like a marriage, you need to be totally honest and up front in every way for the partnership to work. One thing I cannot stand is people who are not upfront, and omission is the same as lying. I would give someone more respect for saying they do not know but I will find out, or simply tell me that they have made a mistake and take accountability for the problem and the solution, than them trying to bluff their way out of a situation. There was one business that told me the numbers were at a certain level and the margins were really strong, which made the business look amazing. Once we started to look deeper, we found that the numbers were a long way away from what we were told. For me there is no coming back from that. If they did it by mistake, then they didn’t know their numbers; and if they did it knowingly, then I won’t be able to trust them going forward. Either way it wasn’t the deal for me. Do the work but don’t be afraid to say, “I don’t know” to a question. Better that than to try and bluff your way through. Trust is very important in business. If I cannot trust you; I cannot work with you. Now to the pitches… An interesting mix of businesses. I am a woman with long curly hair so I have battled all my life with different appliances that promise the world and never deliver. Or maybe it’s just my hair and the fact that I’m so impatient! I have always had great respect for my hairdresser. He can achieve things that I didn’t think were possible, so I was very excited when I saw an appliance that could be the answer to my prayers. Joseph is a passionate, creative type, hence why he is clearly so good at being a hairdresser. But what he lacked was fundamental business knowledge of what it takes to not only create a good product but make it a business. He did not know his numbers and was DREAMING on the valuation. He would have been very difficult to work with because he did not seem to take any of the advice on board. For my hair’s sake, I hope he launches his product successfully. You have to take creating these types of products very seriously and I believe you need to have the backing of clinical trials before you move down this path. Mixing various active ingredients together without knowing really what they do when mixed is a recipe for disaster. They did not seem to get advice from the experts here. And if the product did what it said (which, as John said, it was more of a soft drink with supplement), then to take out your key ingredients and still call it a calm drink is a worry. My major concern was that the packaging looked too much like it was designed for kids. I’m sure it wasn’t but my six-year-old daughter loved the packaging, which is a worry. Far too risky for me. I am not a fan of people in business who do not work 100% in their business full time. Scott already had a full time job and even though he says that he does both full time, the reality is that new businesses need everything thought of every day to be successful. In saying that, he has done a great job to get the product to where it is today. It was the best designed and highest quality peg that I have ever seen and the price point was reasonable. Wish Scott and Naomi every success. Brian was a lovely man who loved his guitars. My husband and sons play but other than Smoke on the Water, I can’t play any instrument. The guitar industry is very brand conscious, so there is a long road ahead to break into that market but if anyone can do it Brian can. I haven’t been able to view every episode of “Shark Tank” , however did see each of the ones you mentioned above and appreciated your candid stance on your take of the individual pitches. How I came across your blog? Derived from a Google search of Joseph Mourad. who had even invited me to his auspicious unveiling on “Shark Tank” of his WONDER BRUSH. Perhaps it was due to my residing n Melb at that time and needed more support ! I’m not going to publically divulge every aspect of my dealings with Joseph , but suffice to say, you were wise in your judgement of giving him a miss. He promises WAY too much and …. End product falls way below anyone’s bench mark and expectations. Or worse ! !